General Motors China is fabricating and testing prototype battery cells and complete systems at its Advanced Technical Center in Shanghai, enabling GM researchers and engineers to gain critical knowledge in the development of next-generation vehicle battery systems. These systems are expected to be more affordable for GM customers around the world and help GM expand vehicle electrification. The expanded capability will also pave the way for GM to build strategic partnerships with battery cell and cell material suppliers, and make purchasing decisions as a "smart cell buyer." GM’s goal is to accelerate the development of batteries with improved energy density, allowing smaller overall system sizes and reducing costs. This, in turn, will help improve the affordability of plug-in vehicles for consumers. 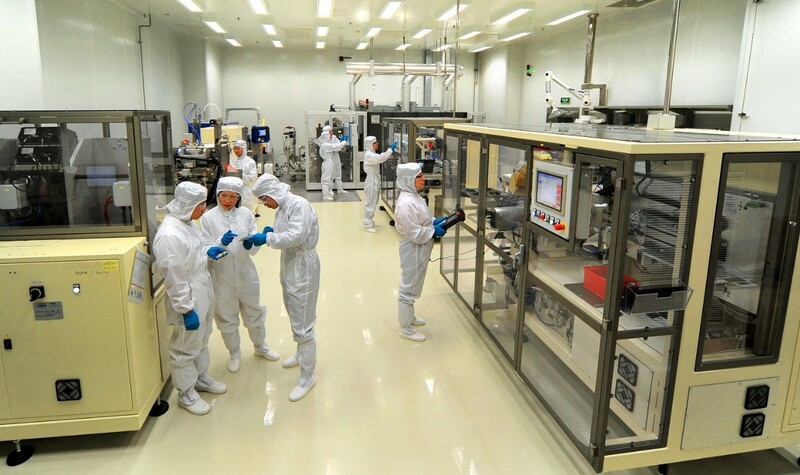 Using state-of-the-art technology, researchers will be able to complete a series of processes, including battery material preparation, battery material coating, battery cell fabrication and battery cell performance testing. The GM China Advanced Technical Center recently produced its first batch of battery cells using state-of-the-art fabrication methods, an important milestone in the establishment of its battery material assessment capability. The battery cell is a fundamental technology in determining the performance of plug-in vehicles. The battery system includes the components needed to control cell temperature, manage battery charge and discharge, and package cells in vehicles. The materials of which battery cells are made are decisive in determining the cost, durability and reliability of the entire battery system. With its battery material assessment capability, GM will be able to independently test and validate advanced materials provided by suppliers, apply innovative technologies to battery cell design and fabrication through collaboration with cell suppliers, and ultimately integrate battery cells into a system for integration in GM’s production lines. Plug-in electric vehicles will play a critical role for the global auto industry to cope with issues related to fuel supply and environmental sustainability. China, the largest auto production and consumption market, has explicitly made alternative energy vehicle development a state strategy. China plans to significantly increase production of plug-in vehicles – including pure battery electric vehicles, extended-range electric vehicles, and plug-in hybrid electric vehicles – by 2020. GM’s independent assessment system for electric vehicle battery material will accelerate this trend and advance development at GM and the Chinese auto industry.